Born in 1736, John Arnold shot to fame during his 20s after inventing the smallest repeater of the age, which he presented to King George III. Later, he concentrated and excelled, in the development of marine chronometer, and was responsible for several key inventions such as the detent escapement, bimetallic balance and helical hairspring. 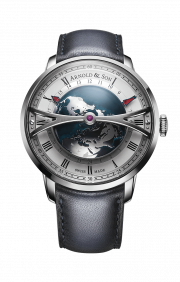 Arnold’s notoriety grew and he founded a company with his son John Roger which supplied timepieces to the Royal Navy and to renowned explorers James Cook, Flinders, Vancouver, John Franklin and Dr.Livingstone to name but a few. 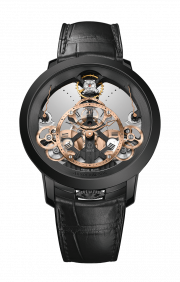 Greatly admiring each other, master Breguet befriended him and they often exchanged secrets on their respective techniques. 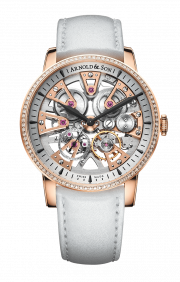 To pay Tribute to Arnold, who died in 1799, in 1808 Breguet mounted his first working tourbillon mechanism on a marine chronometer designed by Arnold himself and presented it to his son. This instrument, perhaps the most extraordinary timepiece in watchmaking history, is now exhibited at the British Museum. 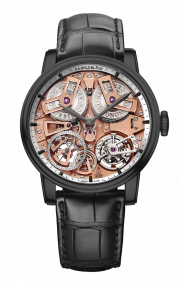 Inspired by John Arnold’s relentless pursuit for precision and innovation, modern-day Arnold & Son company strive to revive this fine English watchmaking tradition in La Chaux-de-Fonds, the cradle of modern Swiss watchmaking. Book an appointment to view collection in store.